My dog is not a service dog nor a Lassie, but he is the next best thing and he earned the status of being my best friend when I had fallen and could not get up. I can still recall every second of the fall. As my body twisted to see what was the matter I remember thinking How stupid of me to walk the dog with pants long and wide enough to get caught under the heel of my shoe and trip me! Then, down I went. For a few days I could still hear the sound of the Crack! as my head hit the pavement. I remember as it bounced and hit again wondering where my dog would be when I recovered. The pain in my neck screamed as I lifted my head to put my hand to my thick grayish-red hair to see if it was redder still with my blood. I moaned in thankfulness that the head wound was only skin deep. I reached for the cell phone in my pocket but looking at the face of the phone I could see naught but a colorful blur of the buttons. I had lost my glasses and with one legally blind eye I could not see. However, I could see that the dog leash was not on my wrist or in my hand. "Oh Lord," I cried. "How will I ever find that hound dog?" In full body pain, I managed to roll over and a glorious sight I did see — my dog Valentino was sitting right beside me, moaning right along with me! I reached for that hound dog and as he began licking me in the face in pace with his whining, I recall thinking of all the hours we'd spent together the last couple of months: hours walking the neighborhood and beach, hours of stop-sit-stay dog training, and most of all, hours of creating a bond that would never be broken. Valentino stayed with me as I assessed my wounds. With no body parts broken or bloody I leaned on my dog to rise from the hold the pavement had on me. Still dazed and with eyes glazed, I began searching the street for my glasses. Eventually I found them about thirty feet from where I'd fallen, along the edge of an empty lot, thick with overgrowth of trees and bush. Unbroken, hallelujah! As I stooped to pick my glasses up off the ground and put them where they belonged on my head, I actually chuckled as Valentino wagged his tail and licked my face. He seemed as happy as I that I'd found them. I recall thinking I should grab the dog's leash but it was just another random thought from the mix of madness in my quickly swelling head. I did, however, have the presence of mind to take one picture of my canine companion in his stand by me stance as I settled my rattled brain for the walk home. 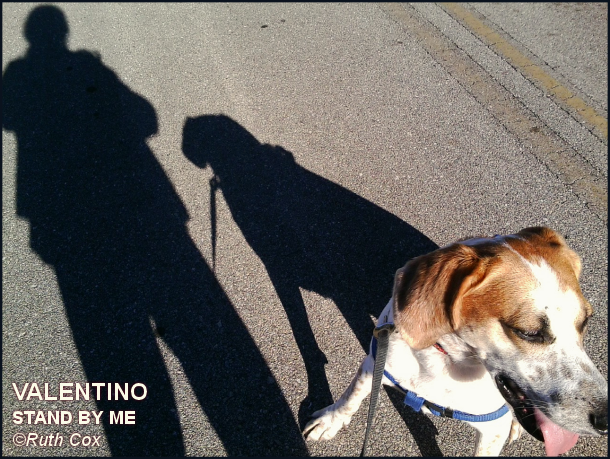 I slowly made my way home, with my dog Valentino by my side all the way. 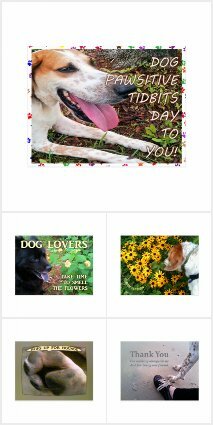 Once inside my front door I fell to the floor and with tears of joy in my eyes I thanked my lucky stars for the hound dog sitting beside me. I can assure you that my dog Valentino received plenty of special dog treats and a lot of loving that day, as well as over the course of the few days it took my aching and bruised old body to heal from the wounds of my fall. Through it all, the fall and the rise, my dog never left my side. For that I give thanks. 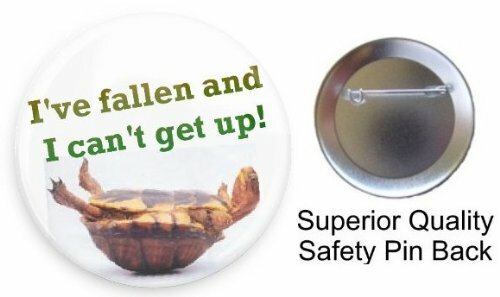 I recently read an article about service dogs outfitted with new gadgetry and trained to sit-stay-call 911. I am thinking it might be time to teach my dog Valentino to bark his loudest howl of the hound to call for help when I have fallen and I can't get up! 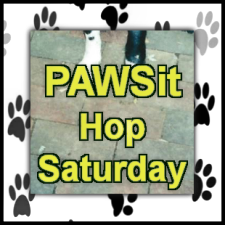 Share your canine companion story in a blog post and link up with PAWSit Hop Saturday this week! You can grab the InLinkz code for your PAWSit post!